Abdul Chaudhry of Chaudhry Halal Meats has just opened a new poultry line at his meat processing plant in Siler City. This is the state’s only USDA-inspected poultry processing plant for independent poultry producers, so it is a vital resource for our community of small-scale poultry producers. Chaudhry Halal Meats has been processing beef, goat, and lamb for over 10 years in Chatham County, so Abdul brings over a decade of processing experience to this new enterprise. 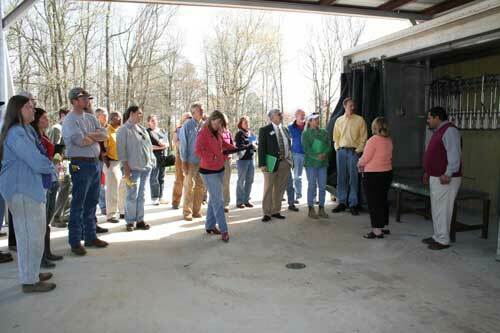 The Chatham County Center of North Carolina Cooperative Extension organized an Open House on April 2, 2008 to promote this new community resource. 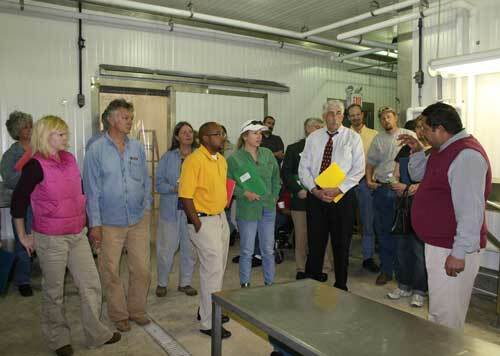 About 60 folks from around the region came to tour the new plant and to learn about niche market poultry production. Dr. Donna Carver, NCSU Extension Poultry Veterinarian, gave a presentation on Using Biosecurity Principles to Ensure a More Wholesome Product. Farmers and Growers’ Choice members Judy Lessler and Noah Ranells presented the new Grower Guidelines for Poultry and Fowl Processing and Paul Griswold, Weaver Street Market’s Fresh Food Merchandiser, discussed Weaver Street’s need for sourcing locally grown poultry. Weaver Street Market is recruiting local poultry growers to supply their three retail stores. They anticipate needing up to 2,000 birds per week and they would like to find growers within a 50 mile radius of Chaudhry Halal’s plant in Siler City. Take a look at their Draft Poultry Grower Guidelines and contact Paul Griswold at 919-241-1785 if you are interesting in supplying poultry. Please review the two documents linked above to facilitate your experience at the processing plant. 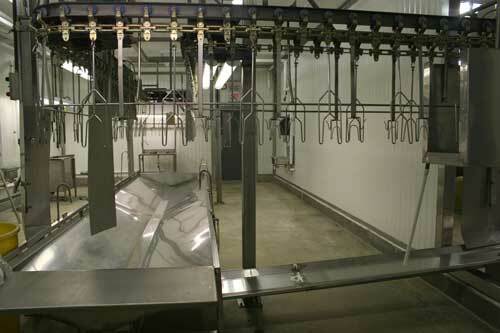 Contact Chaudhry Halal Meats to schedule a processing appointment. 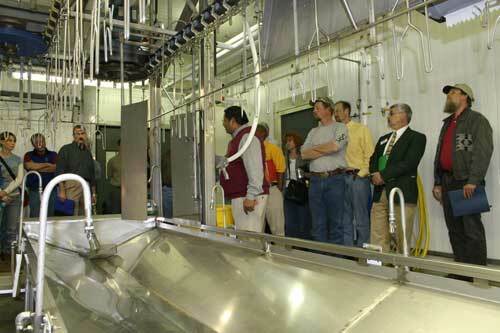 Abdul Chaudhry (far right) starts the tour where chickens are delivered. The plant was constructed to accommodate different poultry species including chickens, turkeys, ducks, geese, guineas, and quail. The plant also processes rabbits. 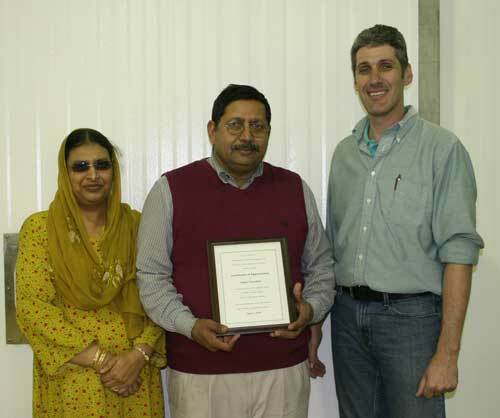 Weaver Street Market’s Operations Manager and Growers’ Choice President James Watts (above right) presents Abdul and his wife Shamim with a Certificate of Appreciation from Growers’ Choice members for opening the plant. Local pastured poultry producers have had no where in the state to process their birds and the few that were still raising them had to transport them to Virginia or South Carolina for processing. 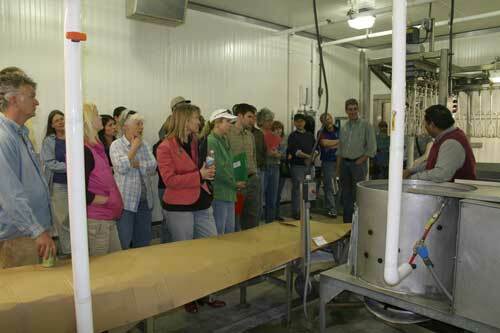 Now that the plant is open, local producers can resume raising chickens to meet the high demand.for local poultry.